Continuing in its postwar relief efforts, JDC was providing financial support for OZE, the Russian Jewish Health Organization, thereby enabling JDC to expand its operations and bring modern medical practices to Lithuania, Romania, and other parts of Eastern Europe. In Poland in 1922, JDC also initiated the founding of TOZ—the Society for the Preservation of Health— and funded its life-saving medical activities and public health programs. In Palestine, JDC subsidized the Malaria Research Unit and helped finance the American Zionist Medical Unit that was sent by the Hadassah organization in 1921. Concerned for the welfare and well-being of tens of thousands of Jewish children in need, JDC set up kindergartens and summer camps and provided food supplements, medical care, and dental treatment. In Poland in 1923, JDC founded CENTOS—the National Society for the Care of Orphans—which remained active until World War II. Turning its attention to the rebuilding of Jewish communities in Eastern Europe, JDC joined with the Jewish Colonization Association (ICA) to establish the American Joint Reconstruction Foundation. To help community members regain their ability to support themselves and their families, the foundation created a network of loan kassas, cooperative credit unions that provided low-interest loans for craftspeople and small businesses, as well as interest-free loans for the poorest families. With ORT (the Organization for Rehabilitation through Training), JDC organized vocational training courses for young adults, thus further encouraging the attainment of economic self-sufficiency. In Palestine, JDC helped establish the Palestine Economic Corporation in 1925 in order to promote economic development. It also subsidized the Rutenberg Hydroelectric Association and set up the Kupat Milveh credit union for the issuing of small loans. In cooperation with the ICA and other bodies, JDC established the Central Bank of Cooperative Institutions, which financed a variety of agricultural projects and encouraged the growth of the citrus industry. The restoration of Jewish religious and cultural life was also a priority. JDC rebuilt community institutions such as synagogues and mikva’ot (ritual baths) and funded Jewish schools and yeshivot in both Europe and Palestine. In the Soviet Union, JDC set up the American Jewish Joint Agricultural Corporation (Agro-Joint) in 1924, a bold initiative undertaken in cooperation with the Soviet authorities to settle so-called nonproductive Jews as farmers on agricultural settlements in Ukraine and the Crimea. 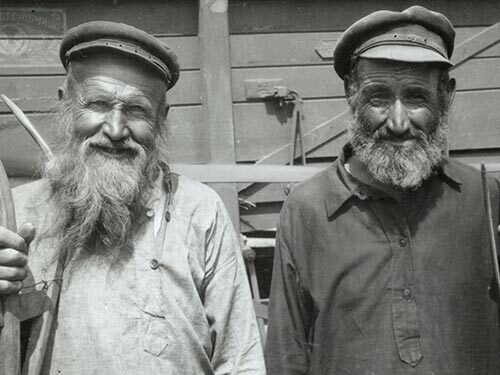 About 70,000 Jews had been resettled by 1936, when the Soviet industrialization program and the extension of citizens’ rights to formerly deprived classes lured settlers to the cities, where some continued to receive support and training through specialized Agro-Joint departments. In 1938, Agro-Joint was forced to leave the Soviet Union, and most of the remaining settlers were ultimately killed by the Nazis.